Countdown to the much awaited multi-sport event XIX Commonwealth Games 2010 has already begun. It's a matter of pride for our nation to host such a spectacular event for the first time. Hosting a sporting event at a scale such as the Commonwealth Games is a matter of international prestige for the country, and is bound to boost brand India. It's a golden opportunity for India to portray itself as a strong sporting and cultural nation as well as an emerging economic power of the world. New Delhi, the national capital of India, as the host city, will get the chance to exhibit a new image for itself - that of a world class city with international standards. Jawaharlal Nehru stadium is the main venue for this esteem sporting event. Elite athletes and sports personalities from 85 nations are participating in this 12 days long multi -sports event which will be start on 3rd October and ends on 14th October 2010. XIX Commonwealth Games 2010 Delhi will feature 17 sports: Aquatics (Swimming, Synchronized Swimming and Diving), Archery, Athletics (Track and Field, Road Walk and Marathon), Badminton, Boxing, Cycling (Track, Road Mass Start and Road Time Trials), Gymnastics (Artistic and Rhythmic), Hockey, Lawn Bowls, Netball, Rugby 7s, Shooting (Pistol, Small Bore, Full Bore and Clay Target), Squash, Table Tennis, Tennis, Weightlifting and Wrestling. Commonwealth Games 2010 will surely be remembered as a remarkable event in the history of India. It is not only a significant matter for sports but also for tourism industry in India. Around two million foreign tourists and 3.5 million tourists from different part of India are likely to arrive in Delhi for Common Wealth Games 2010. According to ASSOCHAM, Common Wealth Games 2010 will bring an estimated 10 million international foreign tourists in 2010. One million of these tourists are expected to be international and another four million are predicted to be domestic tourists. These figures are only for the period when Commonwealth Games will be organize in India. The period leading up to the games is going to have an even bigger impact on the country's tourism industry. It seems that there will be a high rise in the number of international passengers from 25 million last year to 45 million by 2010 and the number of foreign tourists is also expected to rise from 4.43 percent to 10 percent. Indian government is working very hard to fulfill its goal before the targeted time. This event will play a key role in boosting many industries and sectors such as tourism, marketing, aviation, advertising and hospitality sectors. All these sectors are adding new features, so that they can charm more number of visitors during these games and add some revenue to the Indian economy. Even the government has planned to provide some tax incentives for hotel rooms to be constructed in India for this forthcoming Common Wealth Games 2010. Also the government has extended a five year tax rebate to the tourism industry to promote the growth of this industry in India. Another ambitious planning of Indian government is to teach English to low income individuals like cab drivers, waiters gate man and service staffs. Some of the major destinations that are going to be affected by the influx of the tourists is the entire National Capital Region (NCR) with main focus on the tourist regions of Agra and Jaipur. 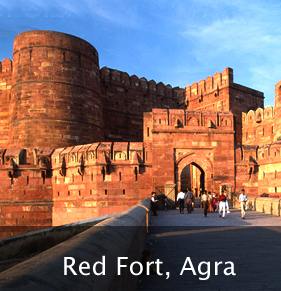 These two places are very significant on Indian tourist map due to the famous World Heritage Site Taj Mahal, Agra Fort, Fatehpur Sikri and forts and palaces of Jaipur. Along with Agra and Jaipur, some other tourist destinations which are likely to be affected by the influx of tourists are Rajasthan (Jaipur, Udaipur, Jodhpur, Jaisalmer, Bikaner etc. ); Mathura in Uttar Pradesh; Bhopal and Gwalior in Madhya Pradesh; Gaya in Bihar and Puri in Orissa. As Delhi is the main venue for the forth coming Common Wealth Games 2010, Government of India has taken many steps for the improvisation and beautification of the Delhi. Keeping in view the huge influx of tourists from across the globe , Indian government is spending millions on the development of transportation facility, beautification and up gradation of old monuments of Delhi. Aspark Holidays Pvt. 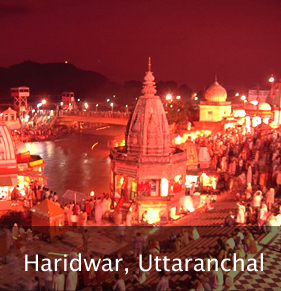 Ltd. is happy to offer some interesting and exciting tour packages for the upcoming tourists. While enjoying the Commonwealth Games, tourist can experience the wide variety of special tours with us. Travel planned along with Commonwealth and moving beyond the beaten track, taking home not just a memory but a total experience. For the special interest and eco traveler who willingly chooses to visit India, the opportunities are a plenty. 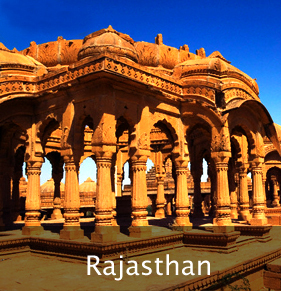 The tourists can avail the Special India Tour to witness the awesome beauties of India. The Aspark team will give you the finest inputs to make your itinerary truly special. 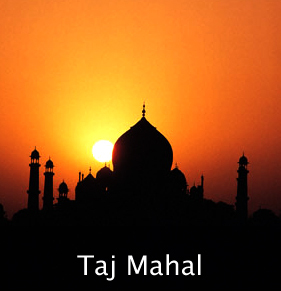 We provide the freedom to choose for your special tour to India. So, during your visit to India the tourists can tone their soul and mind in addition to many sightseeing activities. Aspark holidays Pvt. 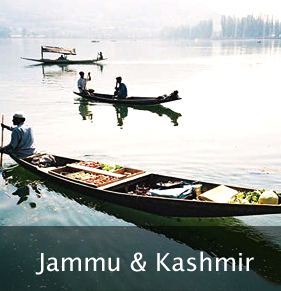 Ltd. offers you some special tours that covers various aspects of India, which being such a vast country with limitless destinations cannot be covered in a single tour. 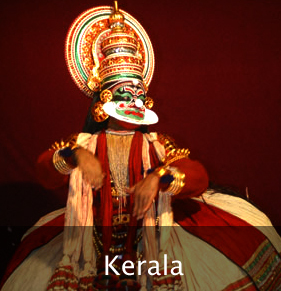 These special tours cover many important destinations in India. So come and book with us, enjoy the famous event with tours in India. India is waiting for advent of 2010 to give a warm welcome to Common Wealth Games which are scheduled to be held in the month of October in New Delhi, the national capital. It will be the largest sports event in to be held in the country with athletes & sportsmen from 72 nations competing in 17 events. 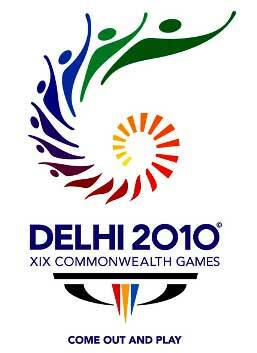 Delhi is getting ready to host the big event of Commonwealth Games 2010 next year. City is buzzing with more and more activities and development works to lure tourists and sportsmen alike. Development and renovation works are taking place. Delhi and India Government giving working for world class health care system, better traffic management, more parking spaces, excellent convenient system with introduction of high capacity modern buses, well-connection with airport to various destinations, new flyovers, transit systems, express ways and many more to facilitate guests. Arrangements of maximum security for the guests along with their comfort are being done with Delhi and India Government. India is planning to deploy special police force called "Tourist Police" before the commencement of big events of Common Wealth Games 2010. Private security agencies also will be assigned to ensure providing full proof security to the tourists coming on India tours during the games. Special Task Forces (STFs), monitoring systems, and Call interception systems are being set in various places of Delhi for the responsibility of providing tight security to the tourists. Commonwealth Games 2010 to be held in Delhi is also going to give a major boom in Indian economy, especially in tourism and hospitality sector. It is expected that India will witness the arrival of international tourists will increase by 15-20 percent. India Government in collaboration with Ministry of Tourism and Archaeological Survey of India (ASI) has plans to launch special programme "Discover India in CWG 2010". It is expected tourists will come to India form countries like South Africa, America, Canada, Singapore, Australia, United Kingdom, Mauritius, etc. 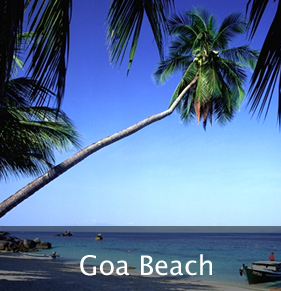 Delhi, Agra, Jaipur, Shimla, Kashmir, Goa, Kerala, etc are going to enchant tourists during the commonwealth games 2010. Several new hotels, resorts, apartments are being built for the excellent accommodation for tourists. Definitely CWG 2010 is going to boost tourism in India. DDA (Delhi Development Authority) is preparing a Games Village on the eastern banks of Yamuna River, near Swami Narayan Akshardham Temple - the largest Hindu Temple Complex in the world. It will provide a perfect harmony between the warmth of culture, tradition, hospitality and comfort of modern facilities. Also it will provide world class accommodation for athletes, sportsmen and team officials. The village will also house training areas, apartments, fitness centres, relaxing contours, zones of fun & activities, etc. Several other facilities will be also provided within close proximity to the popular landmarks of Delhi. Shera will be the mascot of the mega event of CWG 2010. It symbolizes courage, power and majesty of India. The logo of CWG 2010 is a spiraling image inspired by the Chakra, which is the symbol of freedom, power and unity. The logo spirals upwards. It symbolizes the growth and shows peopling coming together in harmony. Bright colors have been used to design logo. It symbolizes highlights of vibrant India and its journey to tradition to modernity. The tagline of the logo is "Come Out and Play". It depicts zeal & zest, and vitality in the lives of people, encouraging them to join the excitement of fun and activities. The opening and closing ceremonies of CWG 2010 will be held in famous Jawaharlal Nehru Stadium, New Delhi. This stadium will also be the venue for some of the sports like athletics, weightlifting, and lawn balls. Indira Gandhi Indoor Stadium will be venue for sports like wrestling, cycling and gymnastic events. Siri Fort Sports Complex will be the venue for badminton and squash events. Hockey matches will be organized at Major Dhyan Chand National Stadium. Talkatora Stadium will be venue for boxing events. RK Tennis Complex will host tennis. SP Mukherjee Swimming Stadium will host swimming events. Tyagraj Sports Complex and Delhi University Grounds will be venues for Netball and Rugby events respectively. With the Commonwealth Games 2010 drawing close, the host city Delhi gears up its preparations for the mega event. The plans are underway for providing supporting facilities to cater to the requirements that will arise during the influx of tourists and sport buffs. The city is undergoing a major facelift to build adequate infrastructure by 2010. 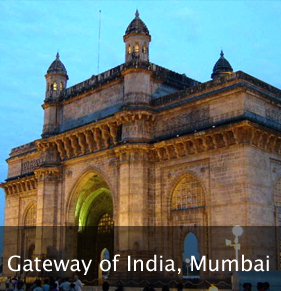 The Government of India is spending $17.5 billion for overall modernization of the capital city. The plans are also ahead to offer sops for hotels and resorts for commonwealth games to fill up the chasm between available accommodation and the demand during the games. 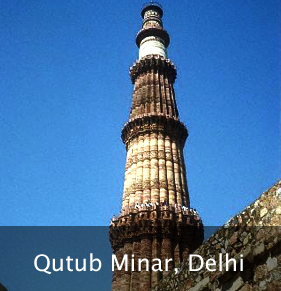 New Delhi is a world class city with modern sophistications already in place. For 2010 Delhi Commonwealth Games, the city is undergoing a rapid facelift. Development of mass rapid transit system, construction of new highways, development of public transport system, construction of new power plants, water utility services and health care services is in the full swing. New games venues are being constructed and the old ones are being renovated. The emphasis is placed on overall city beautification, traffic management, parking space, security and health services. A modern Games Village is being built on the banks of Yamuna which will accommodate 8500 athletes and officials. Situated near the major sights of tourist attraction, the Games Village will be spread over an area of 63.5 hectares. Transport is one of the most concerned area for the planners. Plans are underway to construct new flyovers, cloverleafs and bridges to provide connectivity to the games stadia, hospitals and Games Village. National highways are being expanded and widened. Plans are ahead to make Delhi's both ring roads signal free. For linking Ring road to Lodhi Road, a four-lane, 2.2-km-long tunnel is proposed which will link Games Village to the Jawaharlal Nehru Stadium. High Capacity Bus Systems are planned to be operational on 9 corridors by 2010. Delhi Metro is also being expanded to accommodate more people during the 2010 games. Indira Gandhi International Airport is undergoing a major revampment. A two tier terminal will be constructed by 2010 games. The bottom area of this terminal will be used for arrivals while top level for departures. There will be 130 check-in counters, 55 aerobridges, 30 parking bays, 72 immigration counters, 15 X-ray screening areas and much more at IGI by the year 2010. The airport will be connected to the city via a 6-lane highway (NH8) and Delhi Metro. To meet the energy requirements for Commonwealth Games 2010, New Delhi is undertaking a large power production initiative to increase power production to 7000 megawatt from the current 4500 megawatt. Towards this end, power production is being streamlined and new power plants are under construction. In view of high influx of English-speaking tourists during the games, New Delhi has implemented a program to teach English to low-income individuals who will have high-frequency contacts with the tourists. They include drivers, waiters, security men and service staff. In addition, migrant beggars are being relocated to their home states by Delhi High Court. With eyes on the New Delhi Commonwealth Games 2010, city is all set to welcome the extravaganza with its high-end preparations such as modern transit systems, global standard accommodation and state-of-the-art tourist facilities.